Leise, leise, Fromme Weise, a setting by Johan Friedrich Kind, was composed by Carl Maria von Weber between 1817 and 1821 (E Major) and premiered in June of the same year. This aria is part of Act II of his opera, Der Freischütz. Premiered in 1821, Freischütz composed by Carl Maria von Weber, holds a major place in the history of opera as is often considered the first important German romantic opera. The libretto is based on a German folk legend and many of the tunes of the opera were thought to have been inspired by German folk tunes. This opera, where spoken dialogue and expressive tunes are closely intertwined, at the time of its composition, seems to have echoed the growing desire for unification in Germany and was praised for being a cement of national unity. Act I opens on Max, a young assistant forester in love Agathe, the daughter of the head forester. He worries as he needs to succeed in a shooting competition to obtain her hand. The problem is, he seems out a luck and keeps missing targets, so when Caspar proposes him seven magic bullets that will always reach their target, Max accepts. Caspar, whose soul is to be forfeited to the devil the following day, hopes to manage to substitute Max in his place. Max, under the encouragements of Caspar decides to go at midnight to the Wolf’s Glen to cast his bullets. Act II opens on Agathe filled with dark premonitions. A hermit has told her she would be in danger and she expresses her fears to her cousin Ännchen. Her cousin tries to cheer her up. Left alone, Agathe awaits Max with news of his success and expresses her emotions in her aria: Leise, leise, Fromme Weise. 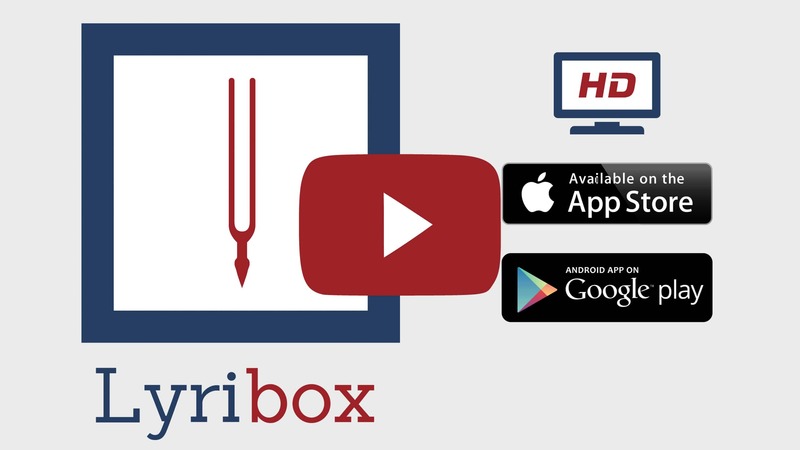 Lyribox, the popular online platform for classical sheet music, accompaniment and ipa translations brings the best by C. M. von Weber by offering the sheet music, accompaniments and translations to the fans gathered around the site, for the best price that could be found online. The sheet music, accompaniments and translations provided by Lyribox for are of highest quality and accuracy. Leise, leise, Fromme Weise originated was composed by Carl Maria von Weber. The original lyrics are in German. The melodious note arrangement of Leise, leise, Fromme Weise ranges from pianissimo (very soft) mellow notes to forte (loud) notes carrying the player and the audience through an array of vivid emotions. The sweet soft beginning of the music piece gradually increases and decreases the loudness in smooth transitions. This music piece is decorated with phrases, slurs and an arpeggio. A perfect composition for piano players to try with an intermediate knowledge in music. Students can make use of this sweet music piece to improve their knowledge in music expressions, ornaments and sight-reading, while all music lovers could enjoy this brilliant extract whole-heartedly. Leise, leise, Fromme Weise sheet music produced by Lyribox is clear, precise and is transcribed in English by Lyribox. By purchasing Leise, leise, Fromme Weise sheet music from us, you can simply sing along as you play this masterpiece on your piano. Unlike many sheet music sold online with all black notations, sheet music we offer you is marked using three distinct colors. While piano notation is illustrated in black, the music expressions and the lyrics are given in red and blue respectively. Get Leise, leise, Fromme Weise by C. M. von Weber sheet music from Lyribox today to enjoy and share this wonderful music composition with your friends and family. Leise, leise, Fromme Weise piano accompaniment is offered by Lyribox is mellow and smooth. It feeds the poem an underlying pulse, adding a sense of propulsion to it. Meanwhile the vocal line flows in a dreamy leisure manner forcing the audience into a calming and languid mood. The vocal line of Leise, leise, Fromme Weise by Lyribox has the potential to provide slight pitch support for the voice’s sometimes unusual intervals, enhancing the fullness of it. This accompaniment is not at all demanding. Using these rich Leise, leise, Fromme Weise accompaniments you could create one of the most brilliant performances that is pregnant with layers and layers of expressions. Purchase the Leise, leise, Fromme Weise piano accompaniment together with the vocal line accompaniment from Lyribox today!